SBREIT's 3Q17 DPU was 1.37 Scts, 1.8% lower y-o-y. Two tenant defaults could dampen cashflow in FY18 by more than 10%. Anchor space at 72 Loyang Way still pending to be filled. Cut FY18 DPU forecast by 12% and Target Price by 14% to S$0.62. Maintain HOLD. Cut TP and DPU to account for tenant default, maintain HOLD. We downgraded the stock to HOLD last quarter, SBREIT's stock price has retreated by 3.4% since. 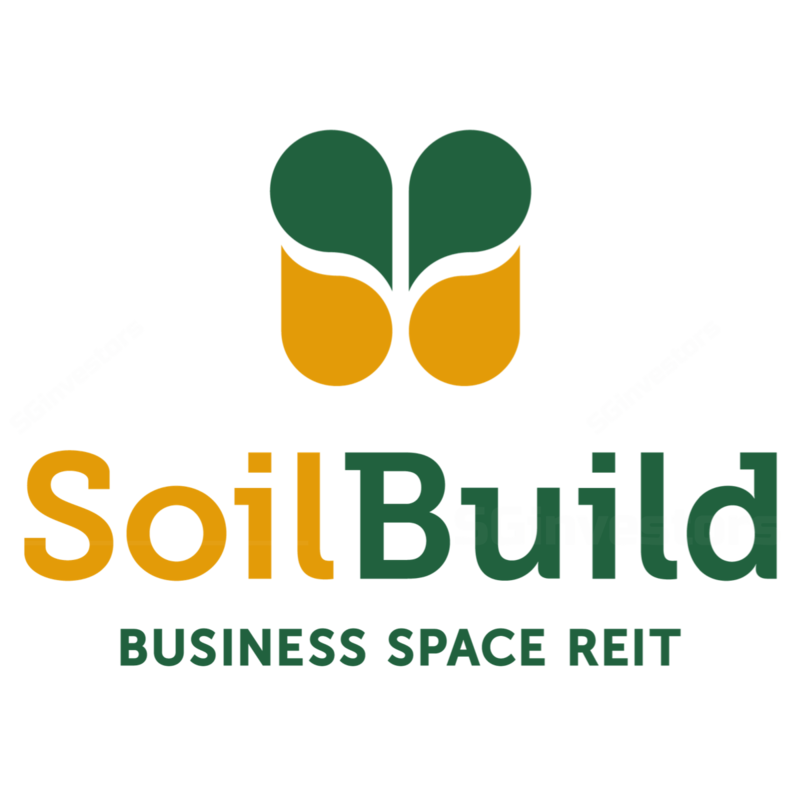 With more uncertainties lingering over the possible vacancy due to tenant defaults accounting for 11% of revenue, and the lack of imminent catalysts, we believe there are more challenges looming for Soilbuild Business Space REIT. Where we differ: In line with consensus. DPUs are expected to remain under pressure in the near term, mainly on the back of difficulty in backfilling the space at 72 Loyang Way (c.8% of top line) and the possible vacancy from defaulting tenants (c.11% of top line). A recovery in DPUs will likely come only from 2H18, upon the expiry of the master lease at Solaris, a business park asset which is projected to continue to perform strongly. Potential catalyst: Sooner-than-expected vacancy improvement. There is a high correlation of 0.93 between occupancy rates and share price. Signs of a sustained recovery in occupancy rates would restore investors’ confidence in DPU outlook. However, given the recent tenant defaults, the recovery seems less likely to take place in FY18. Cut DCF-backed Target Price to S$0.62 from S$0.73 and FY18 DPU to 4.66 Scts from 5.27 Scts, after assuming two tenant defaults and delayed backfill of 72 Loyang Way. 12.7% downside to price with 6.6% yield. Maintain HOLD. Look out for asset revaluation. NAV fell by 10.0% in FY16 due to softening asset valuations and enlarged unit base. Gearing was pushed up to 37% from 36%. We expect additional revaluation losses of up to 10% to occur in FY17. Gearing could inch up by another c.100bps, while still within the comfortable level, limits funding options for acquisitions. Gross revenue for 3Q17 was S$20.5m, S$0.8m or 4.1% higher y-o-y. The increase was largely attributed to higher contribution from Bukit Batok Connection (S$1.9m). Growth in other properties was partially offset by reduction in revenue from 72 Loyang Wang amounting to S$1.7m. Net property income (NPI) was 3.0% higher y-o-y at S$17.8m. NPI margin declined to 86.6% from 87.5% a year ago. Distributable income was S$14.4m in 3Q17, down 0.8% y-o-y, mainly due to the absence of property and lease management fees payable in units, as opposed to cash in 2Q16. In the longer term, this decision should mitigate the dilutive effect on DPUs. 3Q17 DPU was 1.37 Scts, 1.8% lower y-o-y. The decline was amplified by the larger unit base. 9M17 DPU represents 77% of our full-year FY17 forecast, in line. Rental receivables creeping up due to defaults. Trade Receivables have been creeping up from S$3.1m as at end-Dec 2016 to S$6.9m as at end-Sep 2017. This was due to rental defaults or partial payments from two tenants, NK Ingredients (2 Pioneer Sector 1) and KTL Offshore (61/71 Tuas Bay Drive), amounting to an eight-month rental overdue of S$3.4m and a seven-month rental overdue of S$2.7m, respectively. So far, unpaid rentals have been withdrawn from the insurance guarantee for NK Ingredients and SBREIT’s cash balance for KTL Offshore. The existing insurance guarantee will last till approximately end-Jan 2018 for NK Ingredients and end-May 2018 for KTL Offshore after the deduction of cumulative rent overdue, until then, there will be no material impact on SBREIT’s cashflow and distribution. Presently, the Manager has called for security deposit top-ups from the defaulting tenants and will only make further announcements when there are material developments. Impact of rental defaults on DPU. We have cut our FY18 DPU forecast by 11.6% from 5.27 Scts to 4.66 Scts after assuming six-month vacancy from both properties where NK Ingredients and KTL Offshore occupy following the full utilisation of their insurance guarantee. FY19F would be dampened further if replacement tenants take more time to fill. We have also delayed the recovery at 72 Loyang Way till FY19. Another slow paying tenant, Tellus Marine Engineering (39 Senoko Way) was identified, however the impact will be less substantial given it contributes to less than 2% of the portfolio’s top line. There are no signs of other tenant defaults, according to the Management. Occupancy has improved, though 72 Loyang Way remains a challenge. Portfolio occupancy continued to improve from a low of 89.6% at end-2016 to 92.6% as at September 2017. Occupancy at Eightrium is at 100%. As for 72 Loyang Way, since the default of its master tenant, Technics, and the full utilisation of its security deposit in May 2017, the manager has sought regulatory waiver to lift the restriction placed on the sector that any future tenant is operating in; this represents 30% of the space which is filled to 27%. The challenge remains for sourcing an anchor tenant as 70% of the property is still under regulations to be leased out to one anchor tenant from the marine & offshore industry. Total capital expenditure of S$2.4m will be spent to refurbish the main lobby, lift system, toilet facilities and bicycle parking area at Eightrium, Changi Business Park. The AEI will be spread out over two phases with phase 1 ending January 2018, and phase 2 in May 2018. We have already budgeted this AEI in our existing forecast, hence no changes in our numbers. We downgraded the stock to HOLD last quarter. We have cut our earnings forecast further to account for potential tenant defaults. With uncertainties lingering over the existing defaults accounting to over 10% of revenue, we believe there could be more challenges looming. The ability to secure a replacement anchor tenant at 72 Loyang Wang will be a catalyst for re-rating, though the odds are low in the near term.